Pokémon has become a franchise that can sell with nostalgia alone - it was the first video game I ever played, on my Game Boy Color, the first gaming device I could personally call my own. I've been hooked on the series ever since and even after periods where I stop playing, something always brings me back in. I was ecstatic when I found out that Ruby and Sapphire were being brought back - being able to revisit Hoenn with updated graphics and mechanics was something I was very excited to do, and the game certainly delivered. The stories in Pokémon games are typically similar, with consistent plots that, although repetitive, always have some underlying meaning to take away from the experience. But let's be real; most people probably breeze right through the story. The mechanics are what make Pokémon games so great. They are polished, there are rarely glitches or bugs, and they are enjoyable. 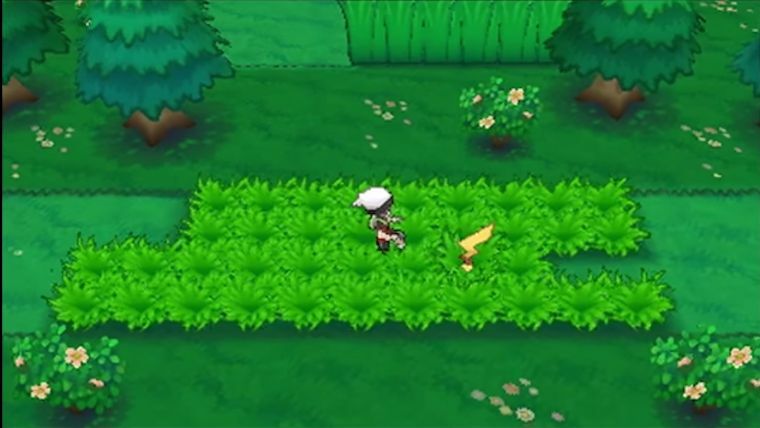 The new games have added a few new and returning features, namely the re-introduction of secret bases and the DexNav. The secret base allows a player to make a home away from home. With a decent selection of items to choose from you can make your base something truly unique. This feature was in the original games, but now you can essentially turn your base into your own gym because of the ability to add a friend to your base. You get to create a team of trainers and challenge each other’s “gyms”. This feature is not without its flaws - you are only able to battle once per day, and having someone on your friends list isn’t enough; you have to scan an in-game generated QR code to have access to their base. If they change their base, or the items inside, you have to rescan the code, so for friends who rarely get to hang out in real life this may become annoying. Minor problems aside, this is a great addition to the Pokémon series. It has also been discovered that they will not carry their actual Pokémon. Instead, the Pokémon change depending on what kind of character they are. Someone dressed as a swimmer has different Pokémon than someone as a ninja. The DexNav allows you to sneak up on unsuspecting Pokémon in the grass. The more you sneak up on a specific breed, the more details you get about it. The great thing about these Pokémon is that they usually have hidden moves, which previously were usually only attainable through extensive breeding. Additionally, you can discover the ability of the Pokémon as well as its level. A returning feature is the Pokémon Contests. These contests pit you against NPC’s or other people via WiFi. The goal is simple: wow the judges with your moves, though the technique is not always quite as easy as it sounds. There is a lot of timing that goes into and a small learning curve. They are fairly easy and are a nice way to take a break from the traditional game. There are some issues that I have the Pokémon franchise as a whole, and the main problem is HMs. HMs are moves that you must have to progress through certain areas of the map. These moves cannot be deleted by player, but only by a certain character in the game. Oftentimes players either have to give up on a good move for multiple Pokémon to give them an HM or have one Pokémon with the sole purpose of knowing only HMs. I know I am not alone with my frustrations of this. After you defeat the eight gym leaders you are given an item that essentially makes the move “Fly” something that you don’t really need, so there is some slight progress. However being slowed down by moves like “Cut” and “Rock Smash” is still very frustrating. One thing that Omega Ruby and Alpha Sapphire have going is post-game content. With plenty of contests to win and bases, to explore there is plenty to occupy yourself with. Additionally, there is a post-game story to finish called the “Delta Episode” which allows you to track down two more legendary Pokémon as you try to stop a meteor from destroying the Earth. In addition to these two legendary Pokémon, there are nearly 20 others from previous games you can catch after your initial adventure comes to an end. So there really is a lot to spend your time on. These are both fantastic games. They look great in 3D and play very well. They're games anyone can pick up and lose track of time with. It doesn’t matter if you’ve never played a Pokémon game before or if you’ve played every one of them until now. If you have any interest at all in Pokémon this game will surpass your expectations. 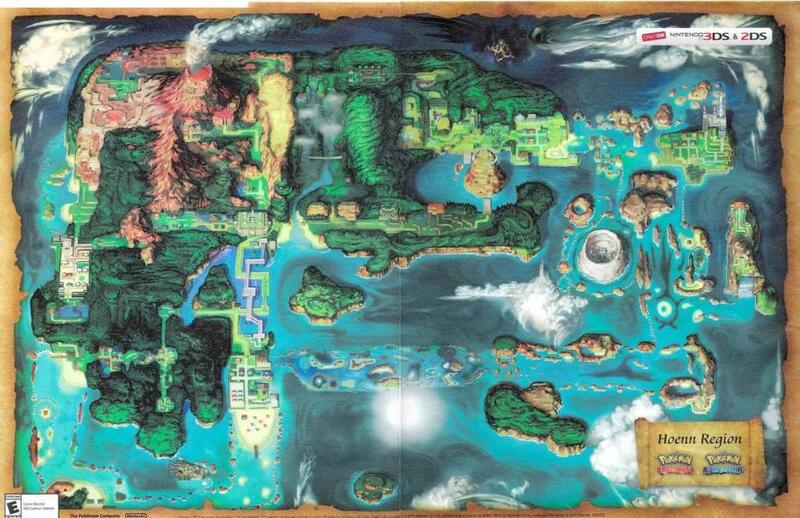 Hopefully Nintendo continues to allow us to explore the former regions because they are certainly worth revisiting. There's a good game in Pokemon X, and fans looking for another game near-identical to the ones before it likely won't find issue with a lot of the dusty trimmings and transparent battle system. If you want to get into into the new stat rebuilding features and grind out tons of easy battles to prep for high-level online multiplayer, it's never been easier to do so. But for all else, the game's excellent visuals belie the frustratingly old-fashioned design. RPG folk can find better times on their 3DS. There's a good game in Pokemon Y, and fans looking for another game near-identical to the ones before it likely won't find issue with a lot of the dusty trimmings and transparent battle system. If you want to get into into the new stat rebuilding features and grind out tons of easy battles to prep for high-level online multiplayer, it's never been easier to do so. But for all else, the game's excellent visuals belie the frustratingly old-fashioned design. RPG folk can find better times on their 3DS. You never go into a game hoping it’ll be bad, and as I saw the Renegade Kid logo flash across the bottom screen as the game opened, I hoped I would be surprised. After all, they had done the excellent Dementium games, as well as Mutant Mudds and the recent Bomb Monkey.